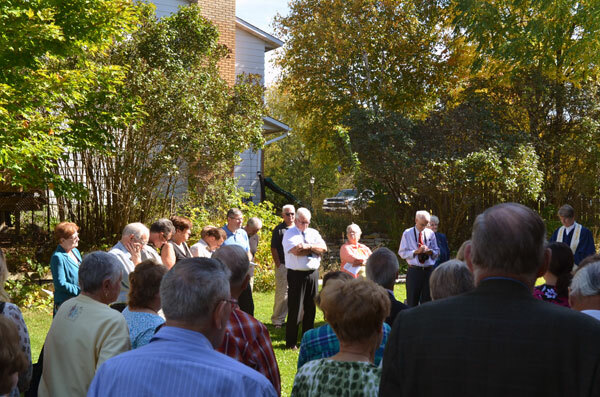 Sunday 28 September 2014 following the worship service saw everyone gather for the dedication of the addition on the back of the church. Rev. 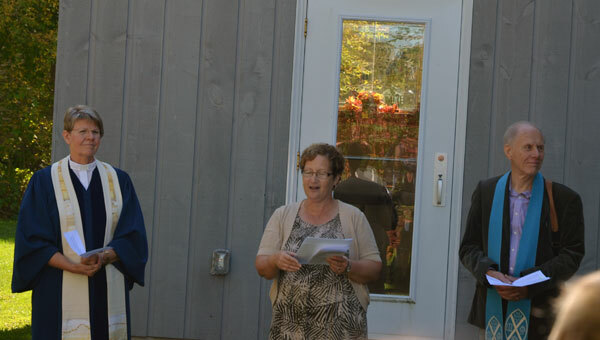 Arlyce Schiebout, Liz Hale (representing the Munster congregation), and David Lee (representing the Ottawa Presbytery) spoke to the occasion. Wayne Tubman who was the project manager and a prime worker said several words about the project. Liz Hale read the names of all people who helped with construction and the names of those who fed and provided refreshments each work day. 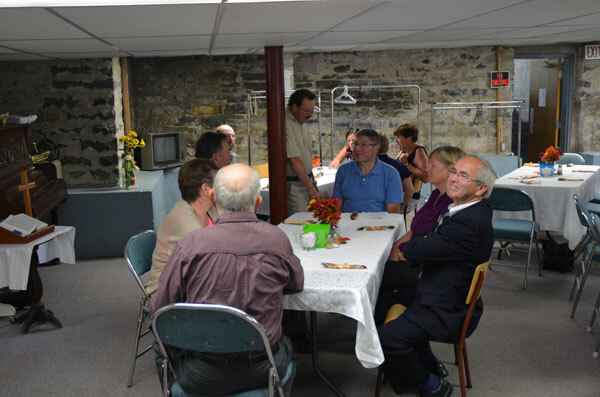 Following the dedication, everyone gathered in the church lower hall to enjoy food. 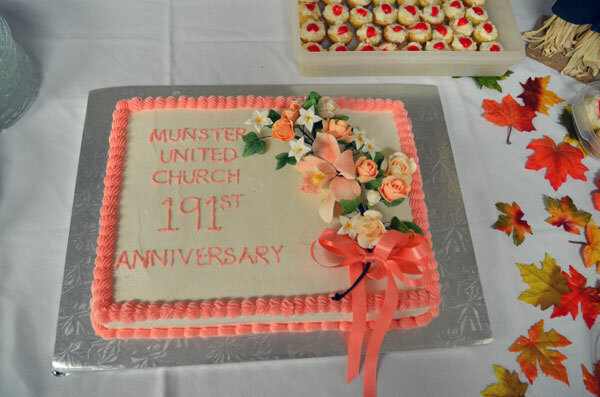 Since the Sunday was the 191st anniversary of the Munster congregation, Dori Mckenzie baked and decorated a lovely cake that was enjoyed by everyone. L. to R. Rev. Arlyce Schiebout, Liz Hale, and David Lee. 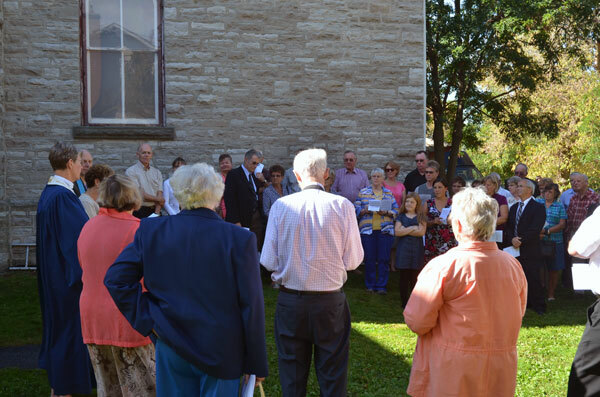 A view of part of the people attending the dedication of the addition to the church. A view of another part of the people attending the dedication of the addition to the church. 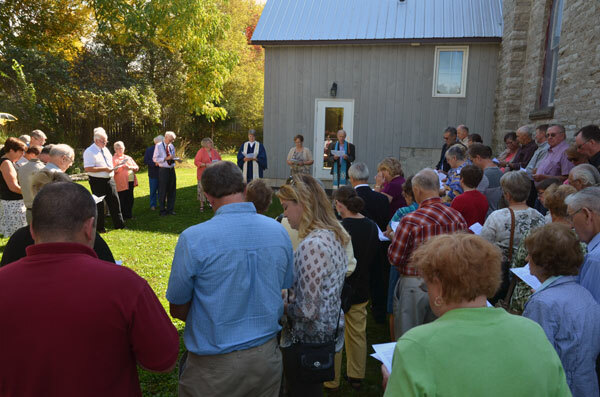 Another view of attendees of the Church Addition Dedication with the addition in the background. 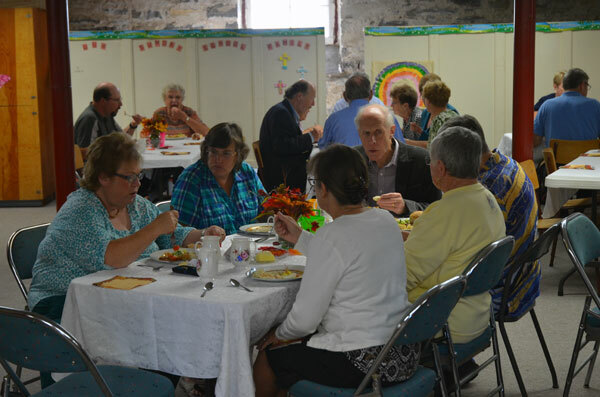 Coincident with the dedication device was the 191st anniversary of the Munster United Church congregation. This is the cake Dori Mckenzie baked and decorated for the anniversary occasion. 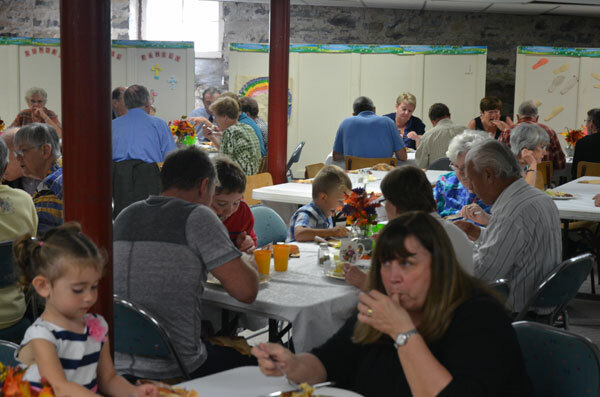 Some of the people enjoying the food following the anniversary service and church addition dedication service. More people enjoying the food of the occasion. 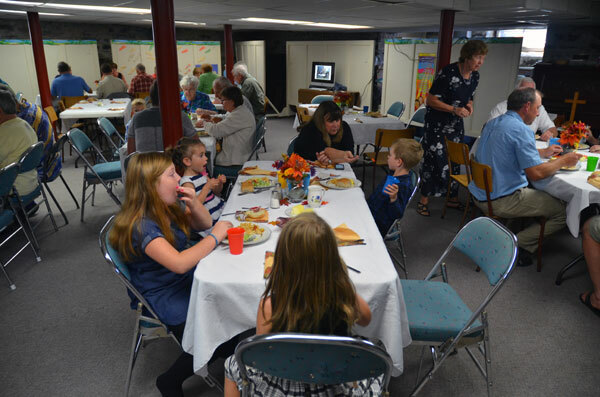 Many people stayed following the service and dedication to enjoy the food and fellowship.